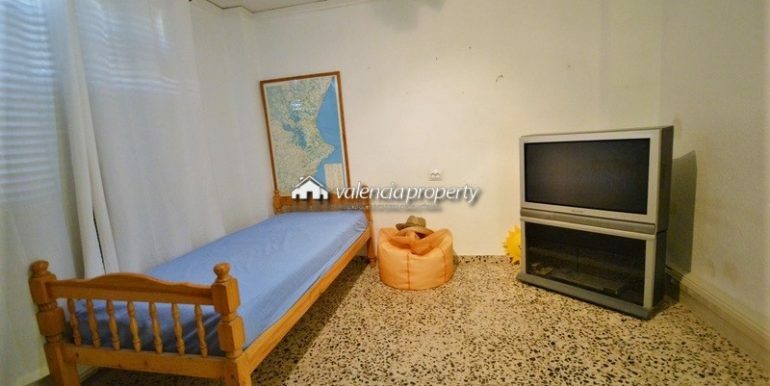 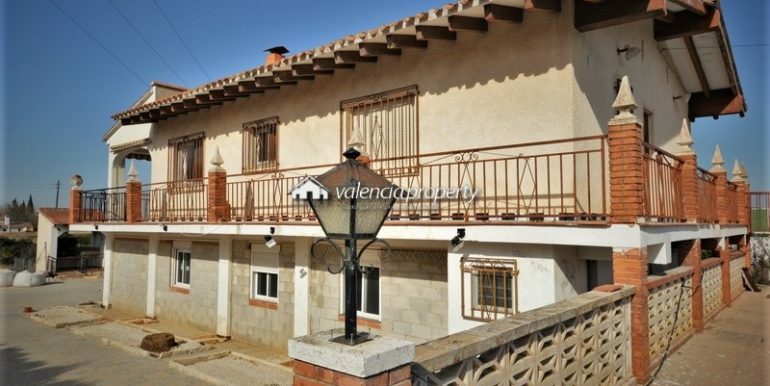 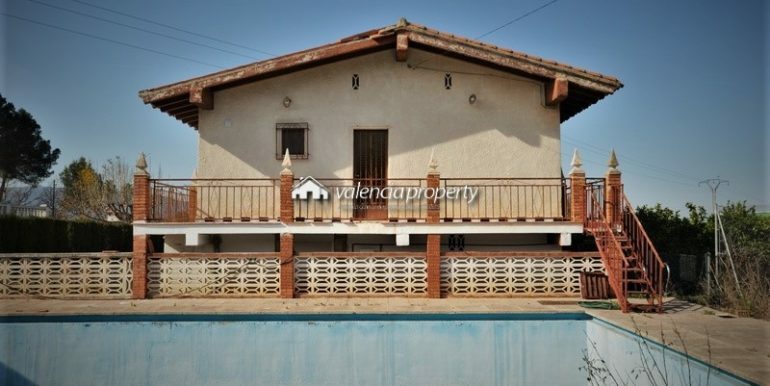 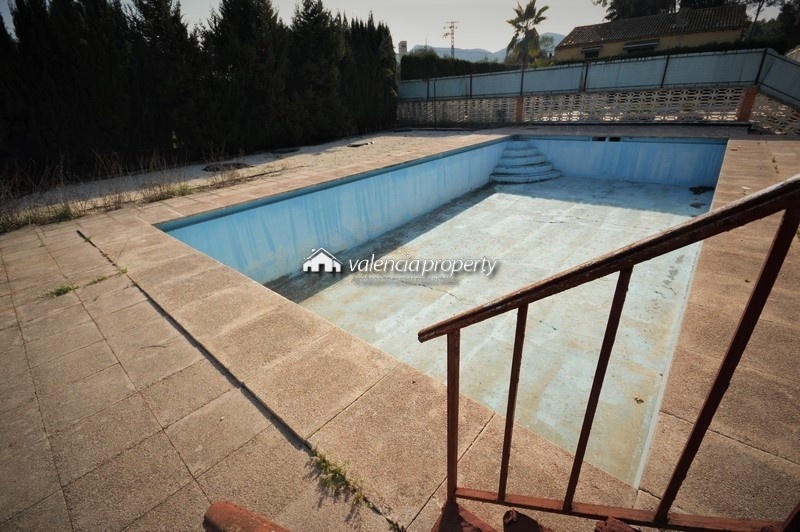 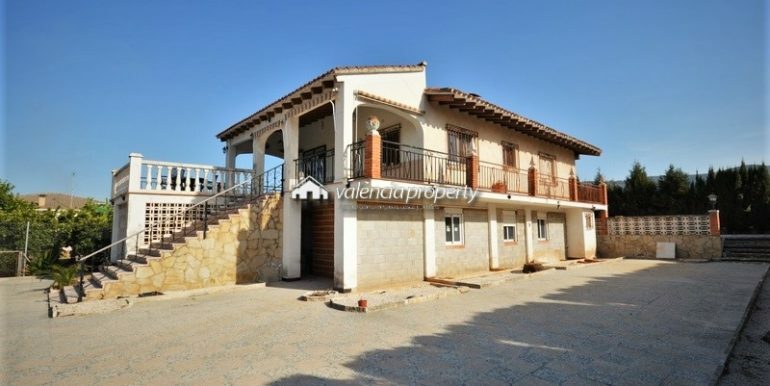 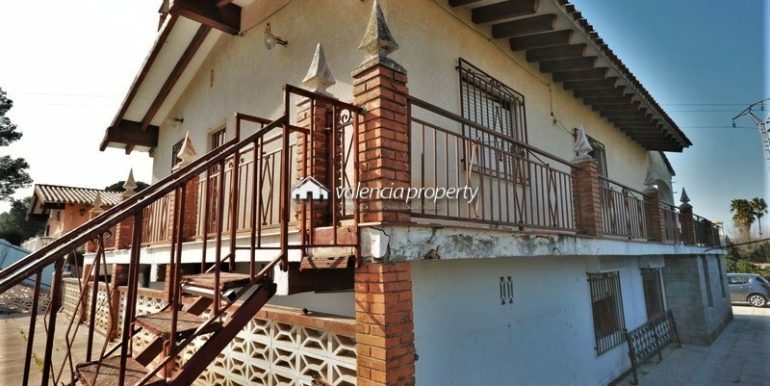 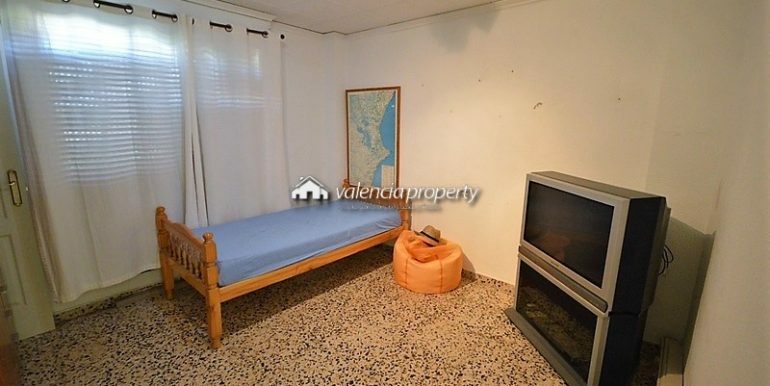 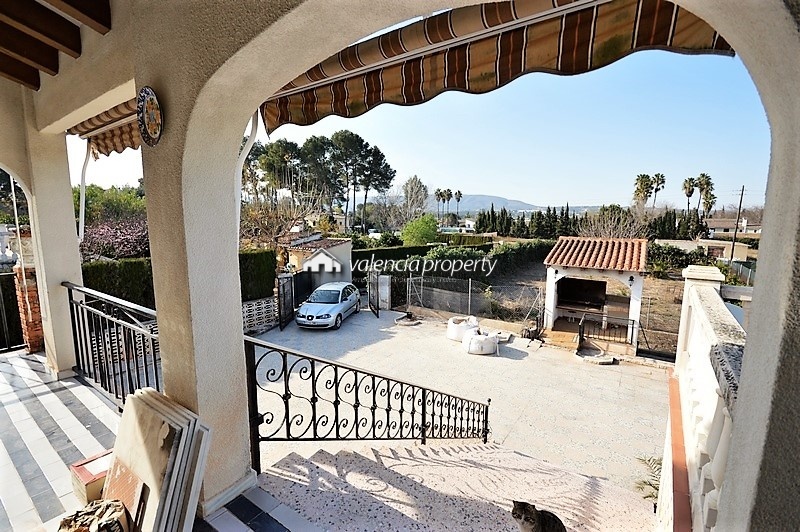 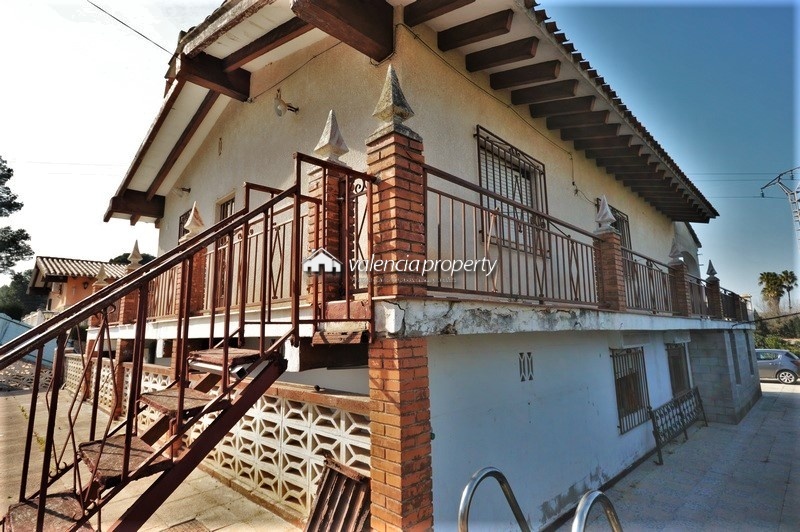 Detached Villa located in the village of Canals, just at 1.5 km from the center of the village. 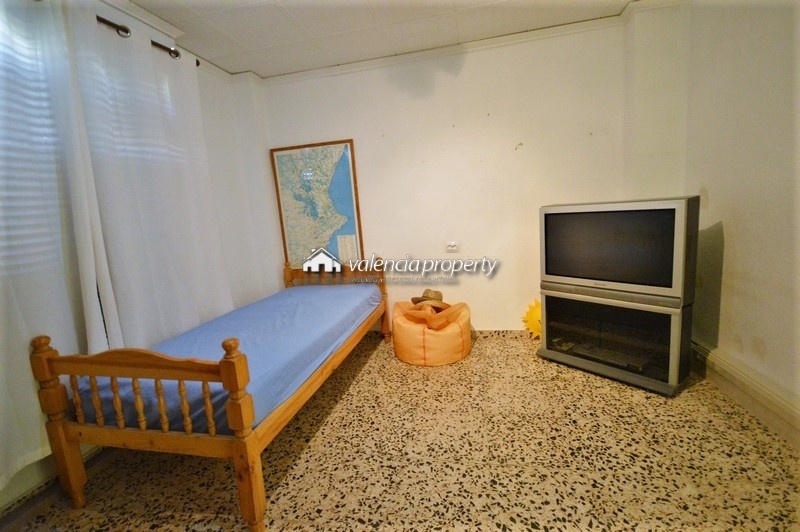 A population that enjoys all kinds of services and facilities. 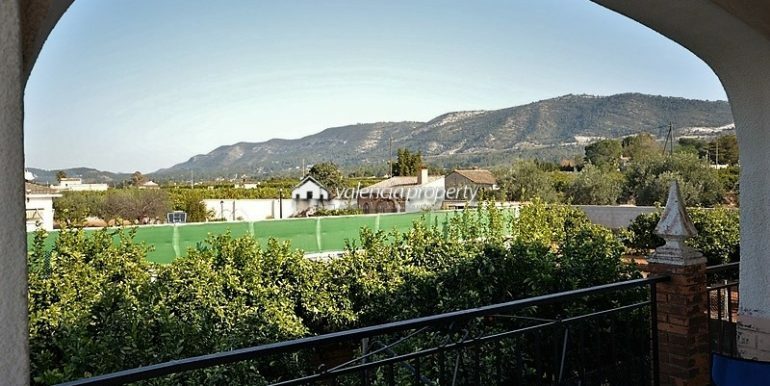 It also has a nearby train station, which connects with Xàtiva and Valencia Norte, in the capital. 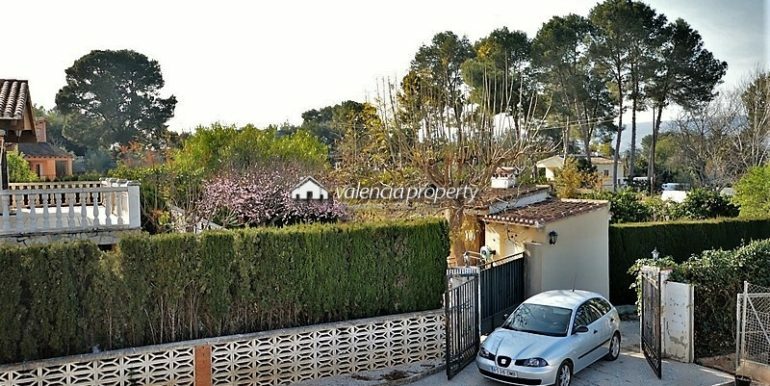 The (urban) plot has an area of 1383 m² and it is of rectangular and flat shape, with a garden area with barbecue in the North area. 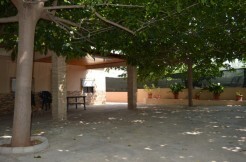 The house occupies the center of the rectangle and is oriented from North to South, and finally the pool is located at the southern end of the plot, behind the house. 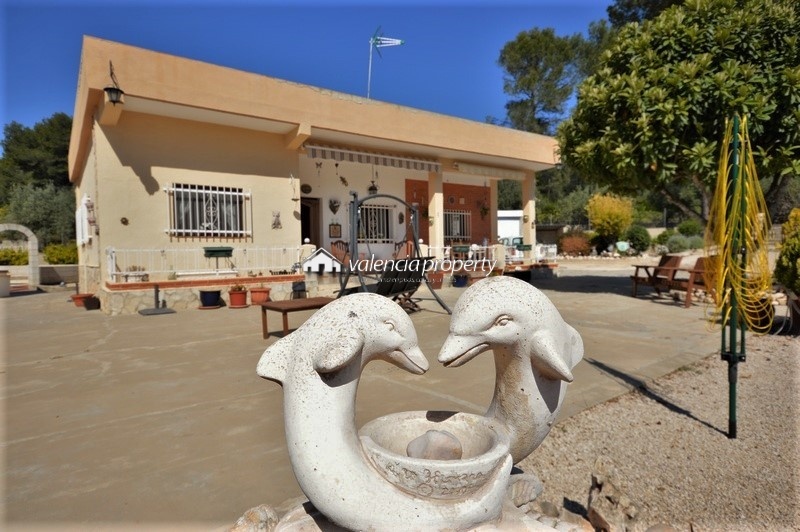 It has a few measures like very few others in the area (22×11), it does not have a sewage treatment plant, but the water is for irrigation and filling it is a minimum expense. 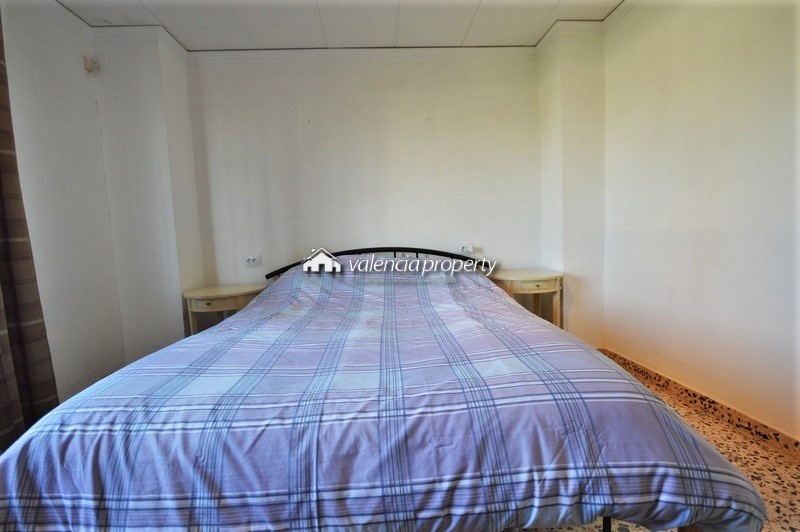 The built surface is 205 m² and it has two heights the first height is been completely renovated and is ready to move into for living immediately. 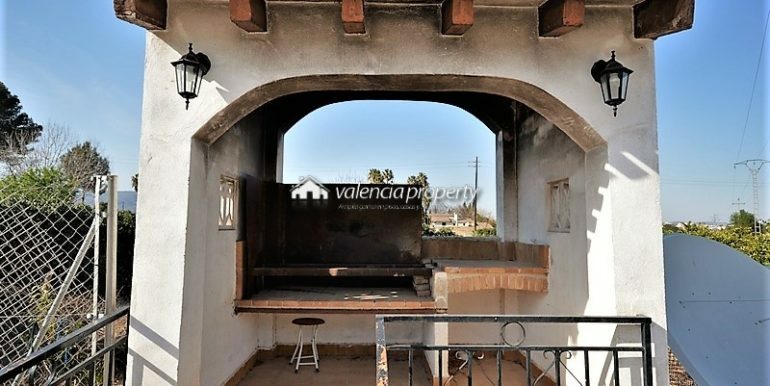 First Height.- Dining room, which is accessed from the porch, measures a total of almost 30 m², and is delightfully bright as it has 4 large PVC windows with double glazing, facing the east, north and west facades, which allow a 180º view of the surroundings. 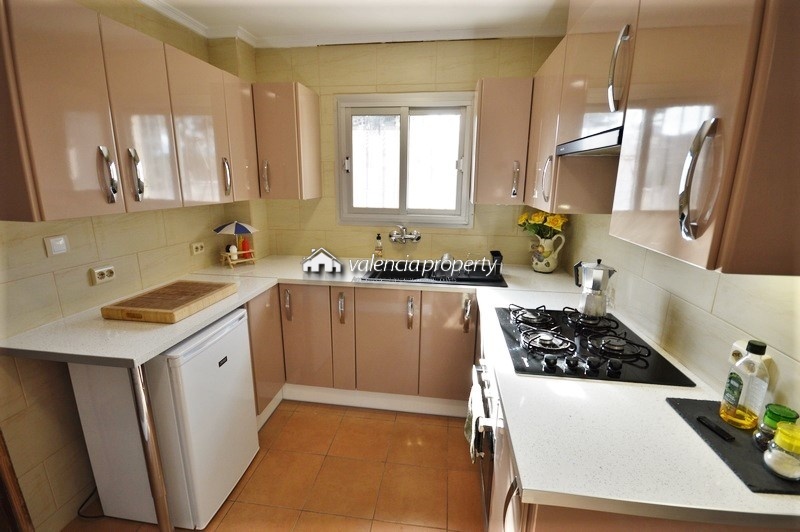 The kitchen (10 m²), next to the dining room, is separated from it by a door, it is not excessively large, but it is very functional, as it is fully furnished and equipped (It also has a pantry). 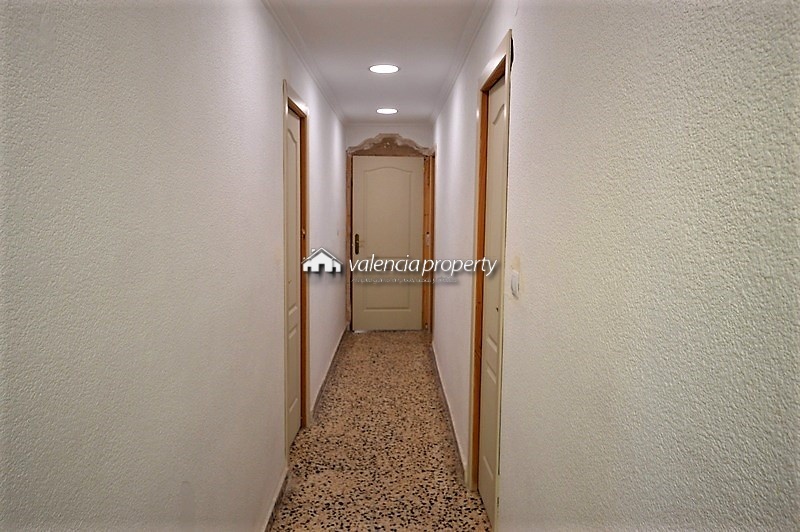 A door from the living room, allows us to access the module where, along a corridor, there are three double bedrooms (all are exterior and have a size above 10 m²). 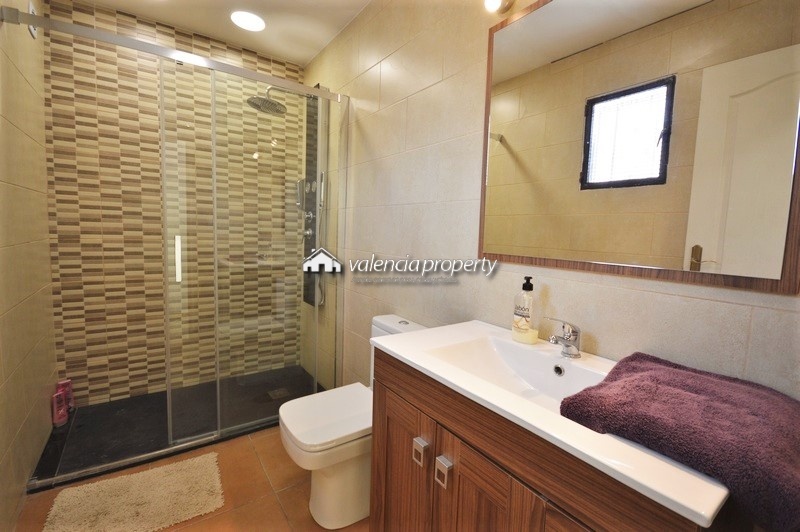 The family bathroom (5 m²) is equipped with shower and entrance at ground level. 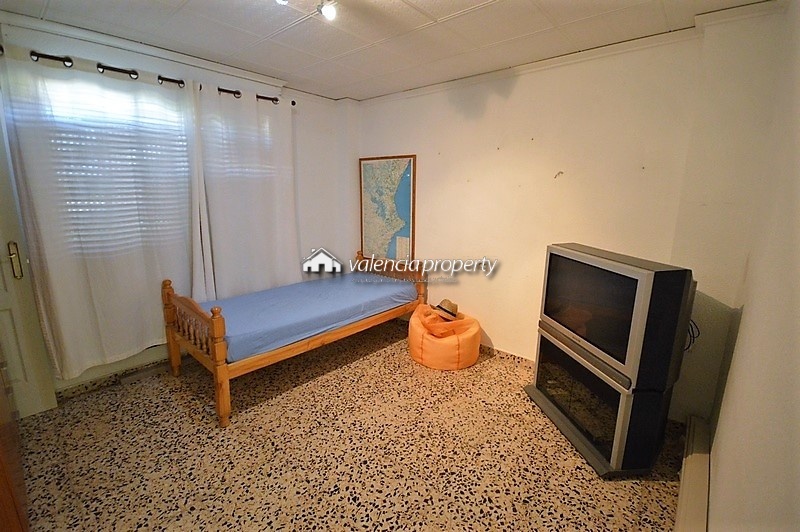 In turn, this entire first floor is surrounded by a marquee. 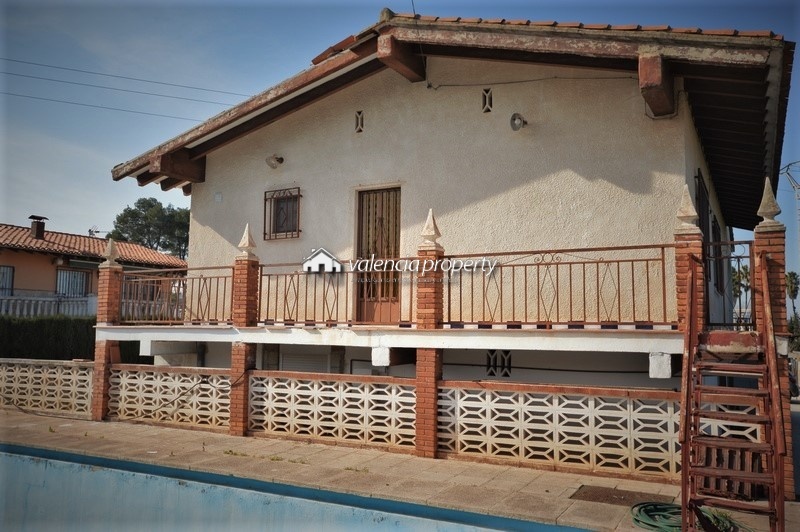 On the South façade, where the back door of the house is, you can access the exterior and go down a staircase to the lower level and to the pool area. 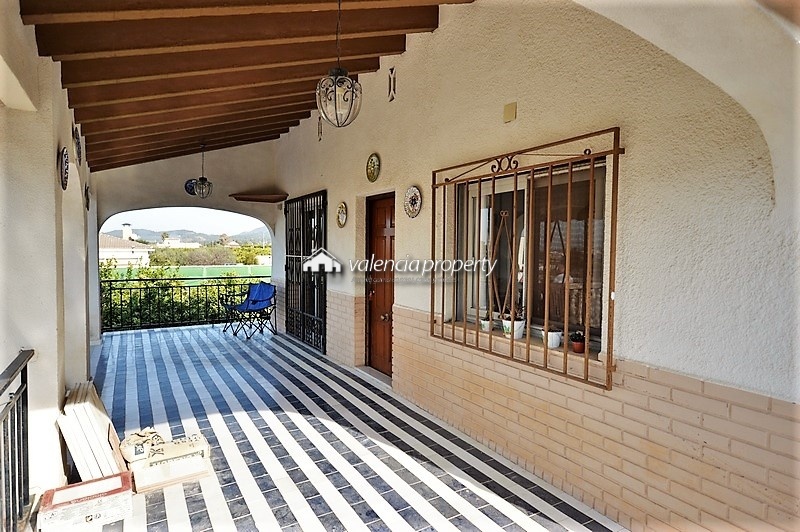 In the area next to the entrance to the property there is a covered porch and an outdoor terrace for sunbathing that allows you to enjoy the best views of the surroundings. 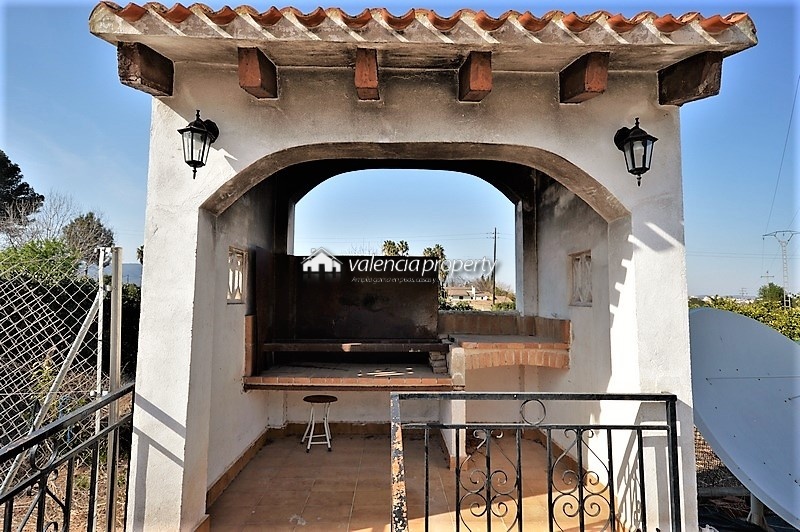 On the lower level, in addition to having a huge parking space, there is a barbecue, perfect for outdoor cooking. 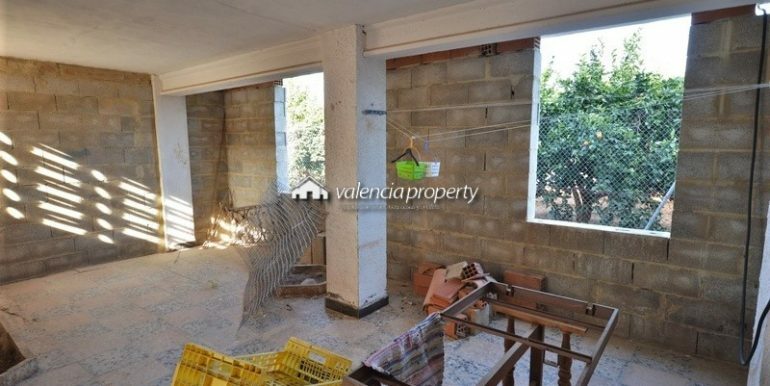 The ground floor, it is not finished, but has 4 bedrooms, living room, kitchen, a toilet and a storage room. 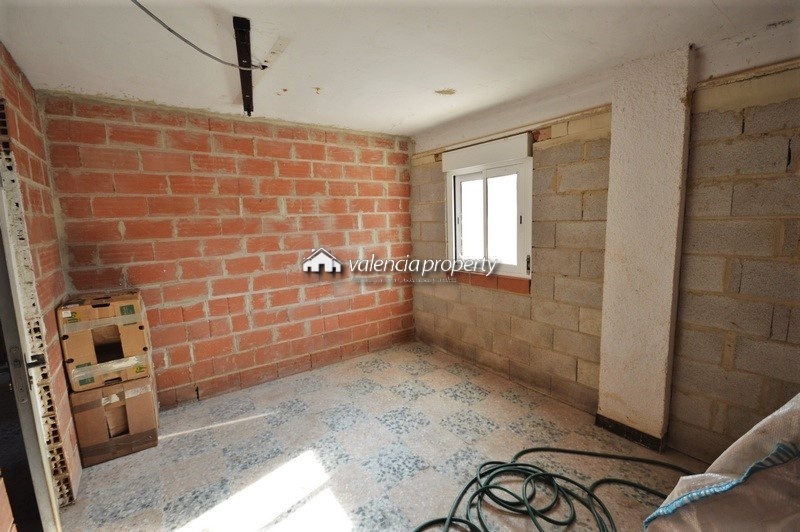 In total 128 m² available space to configure the layout as it suits you. 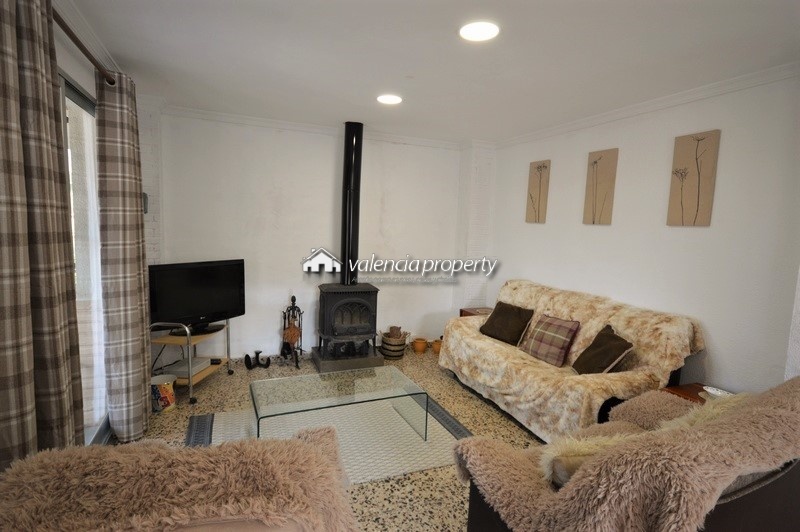 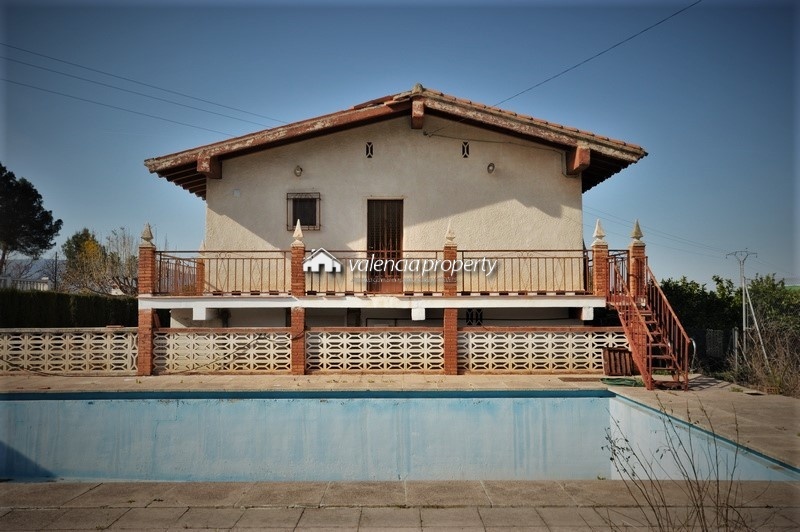 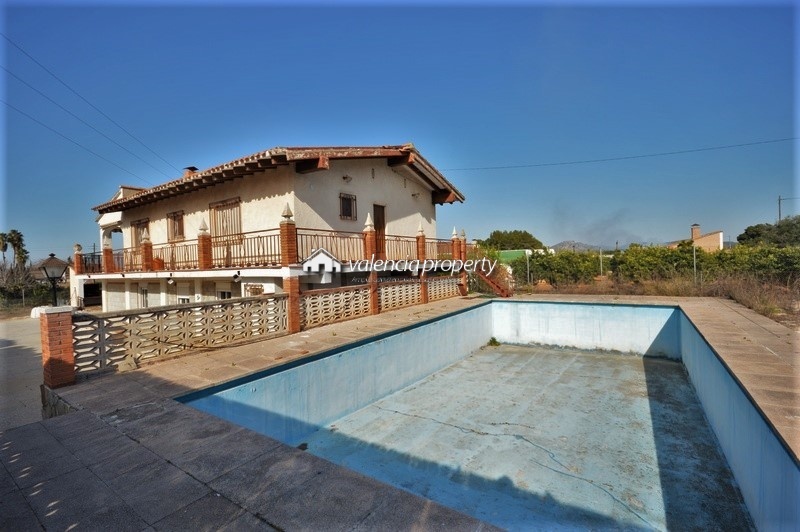 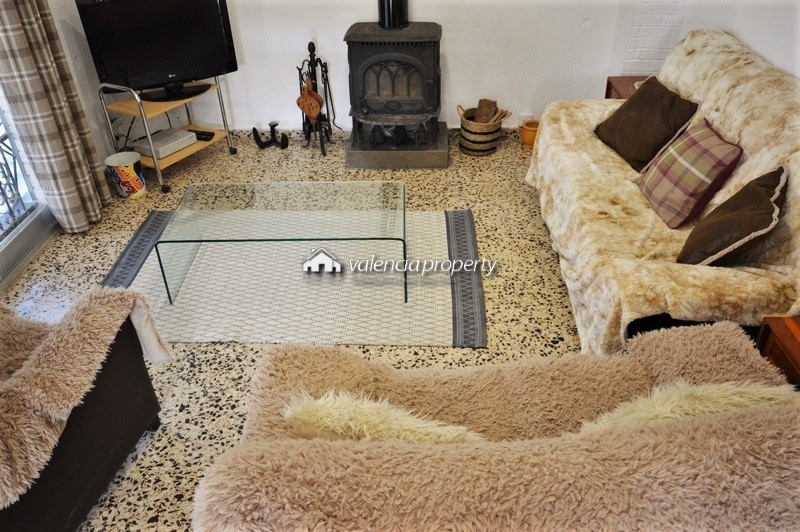 A good property, with a lot of interior space, suitable for a large family or two families who want to share the possibility of living in the countryside, but close to the nearest town. 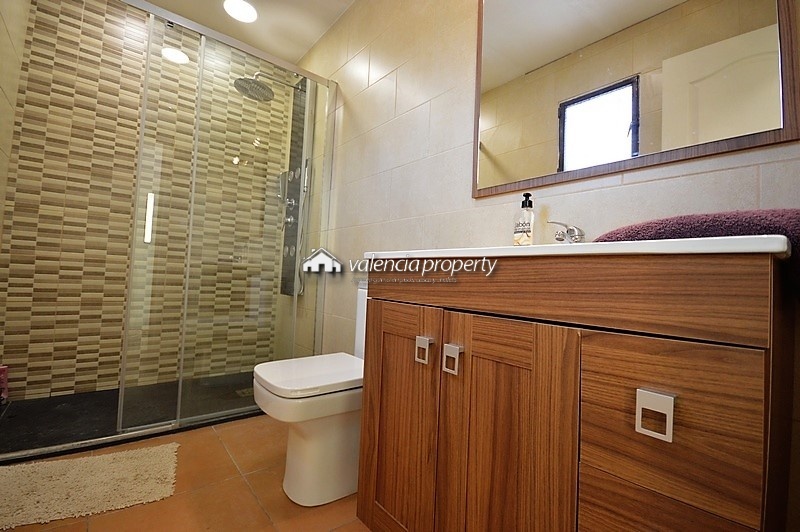 Mains water & electric. 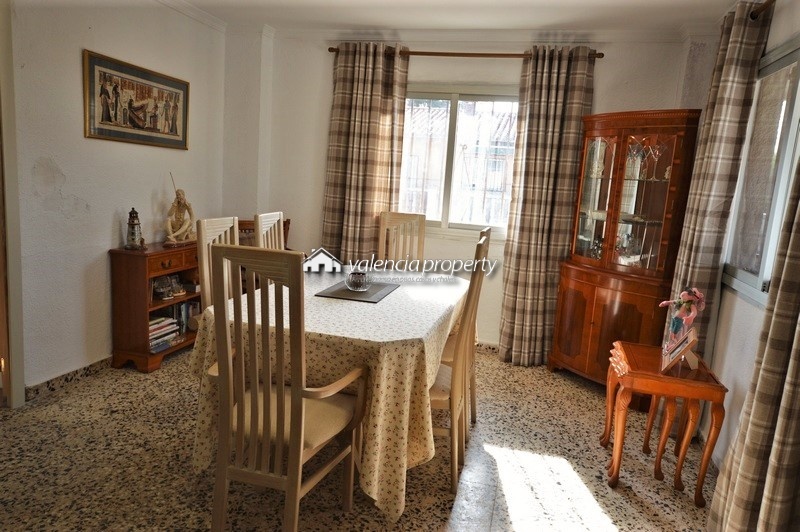 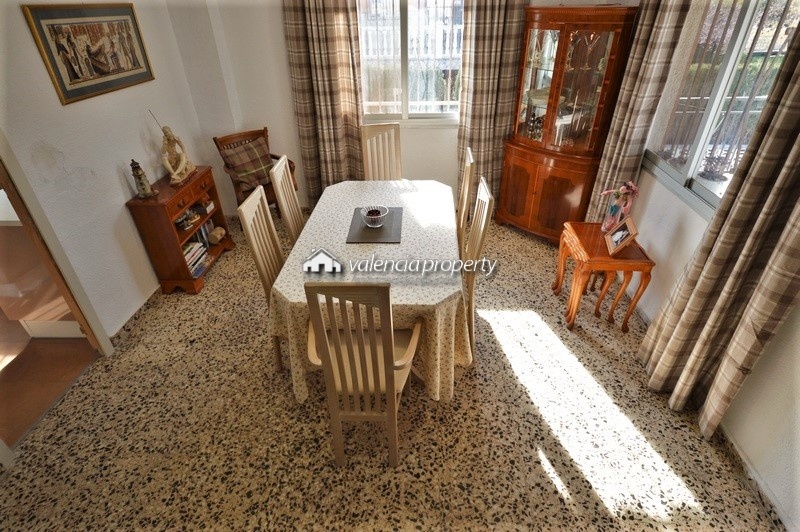 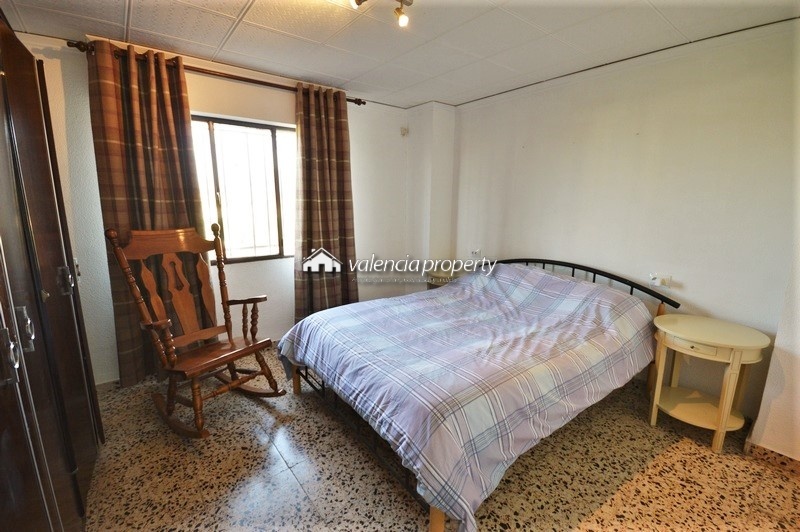 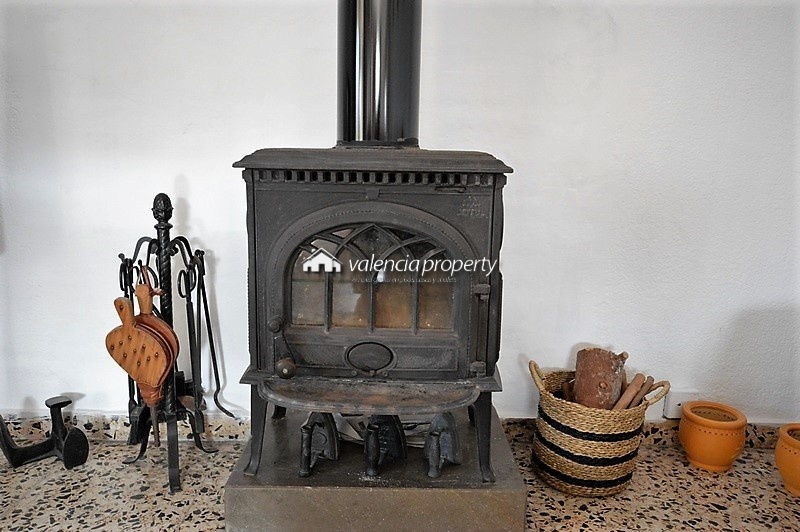 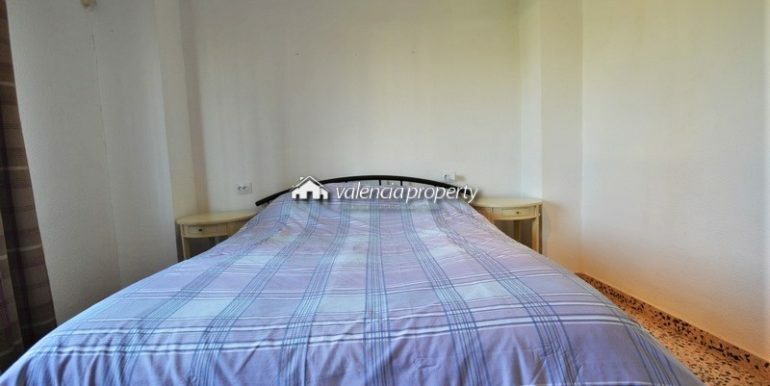 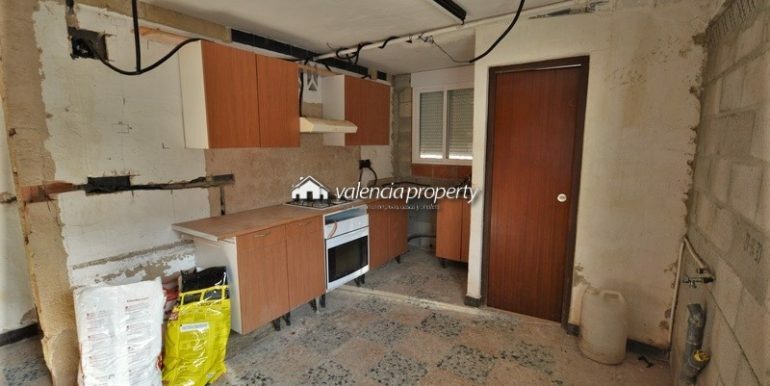 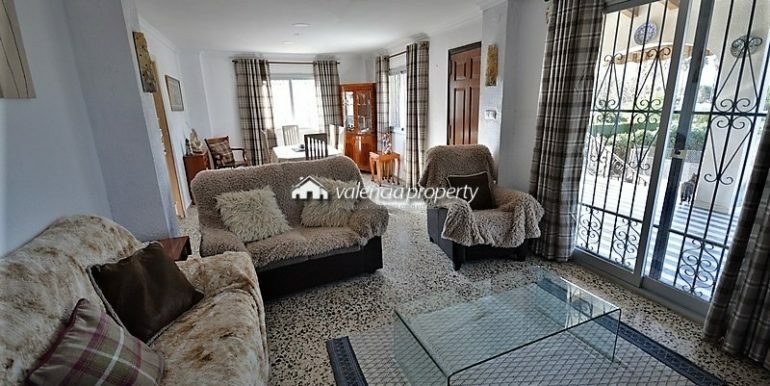 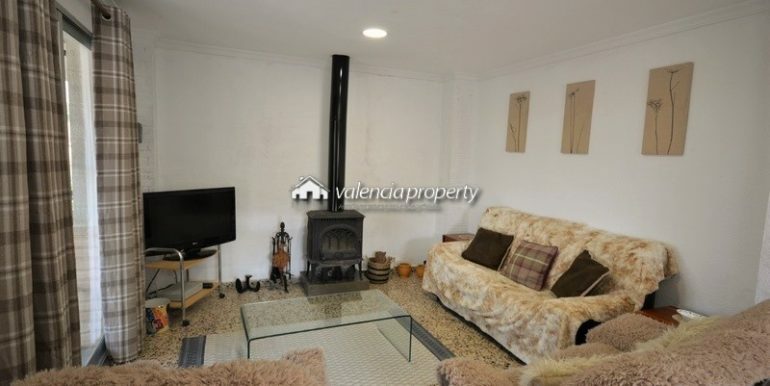 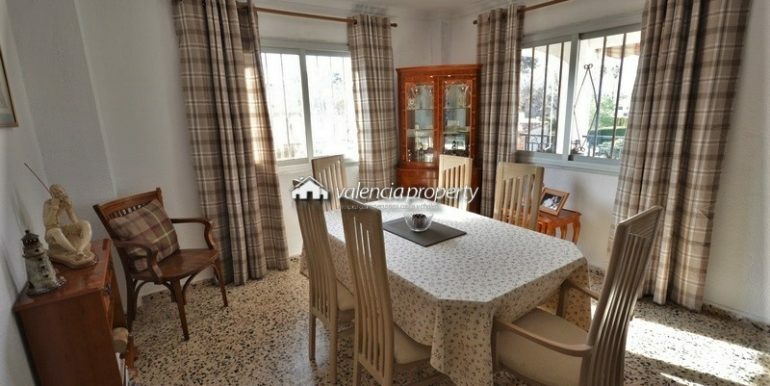 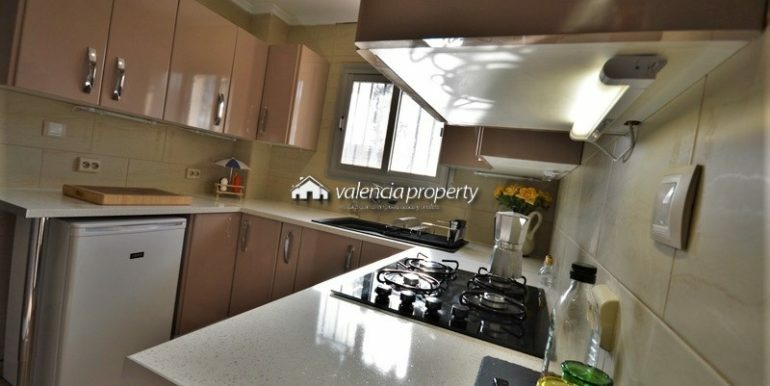 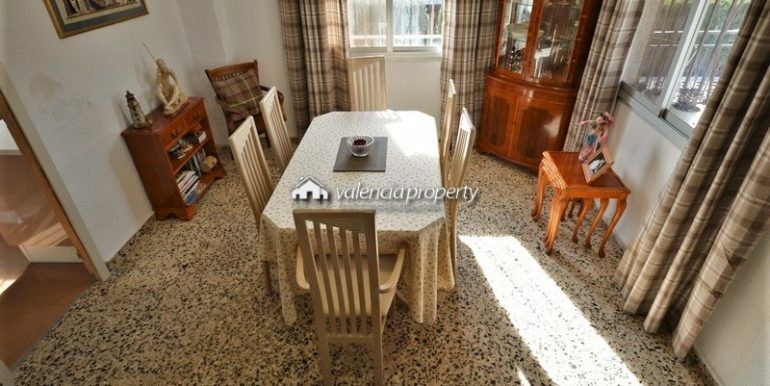 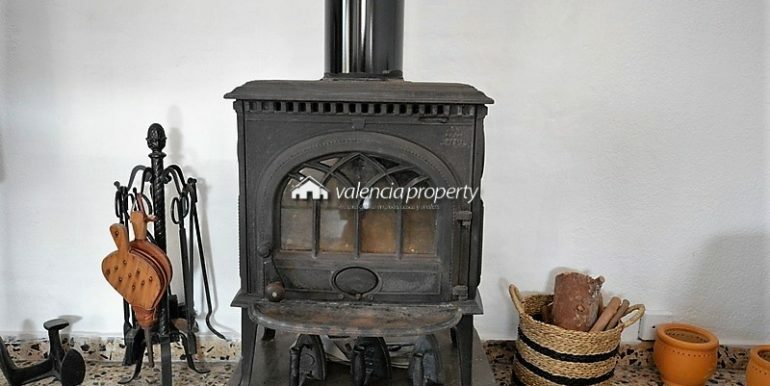 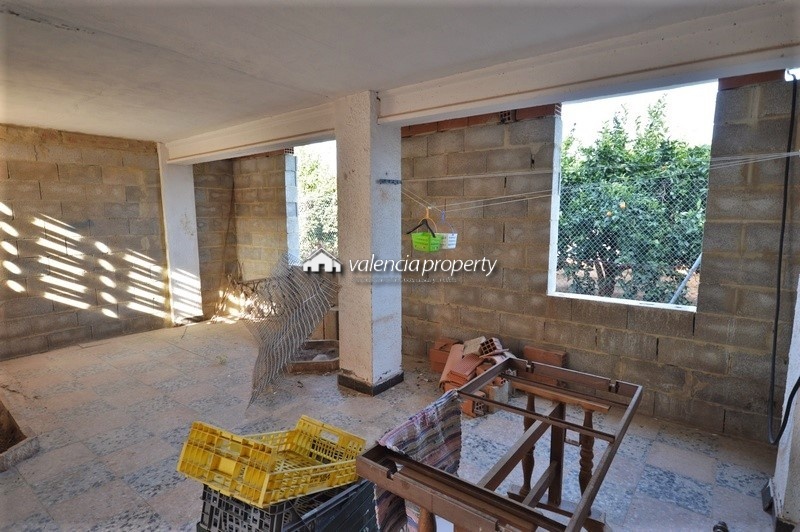 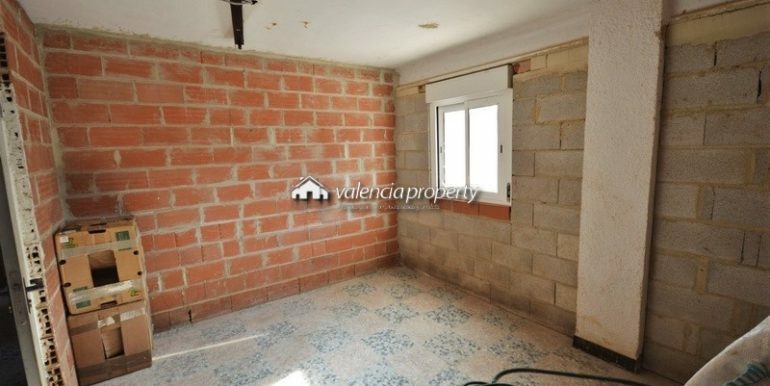 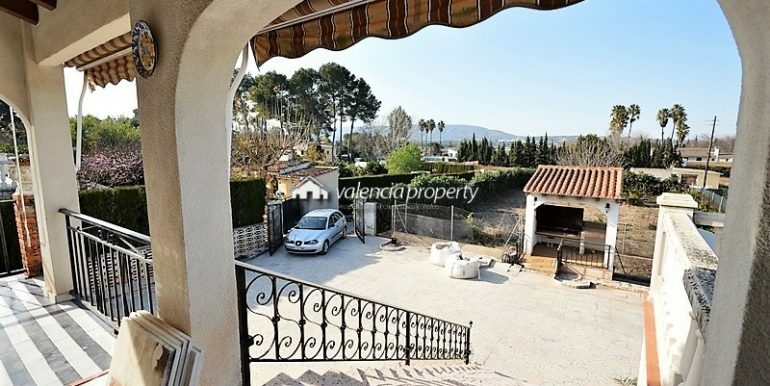 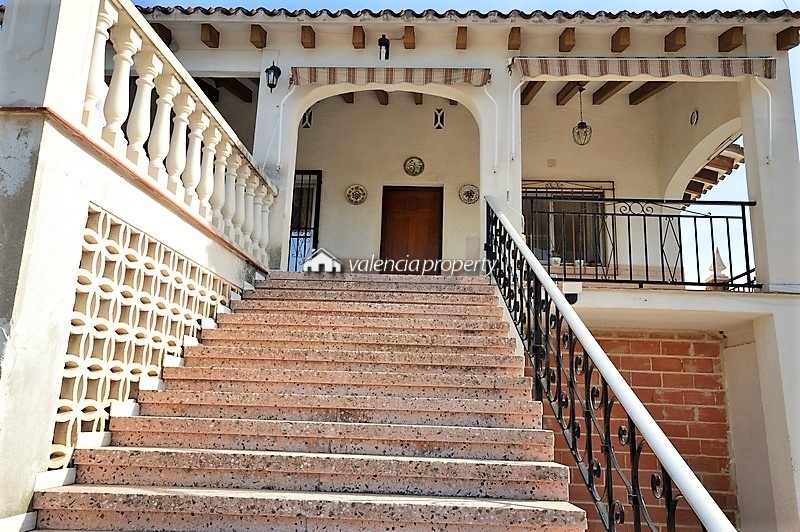 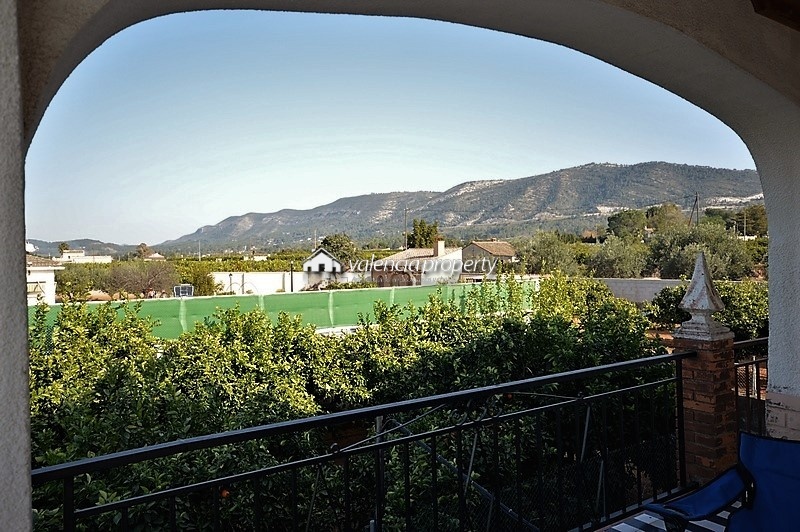 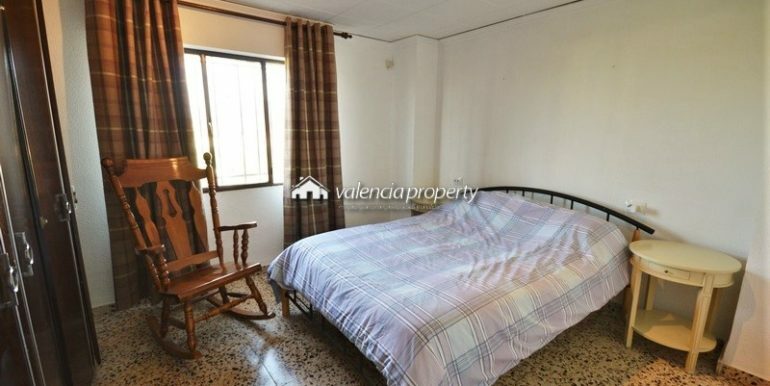 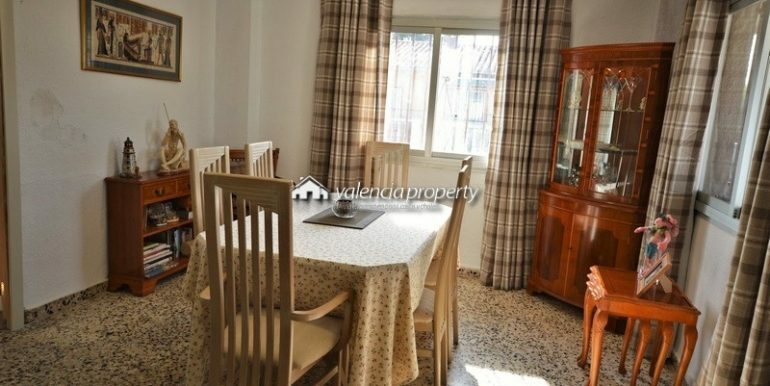 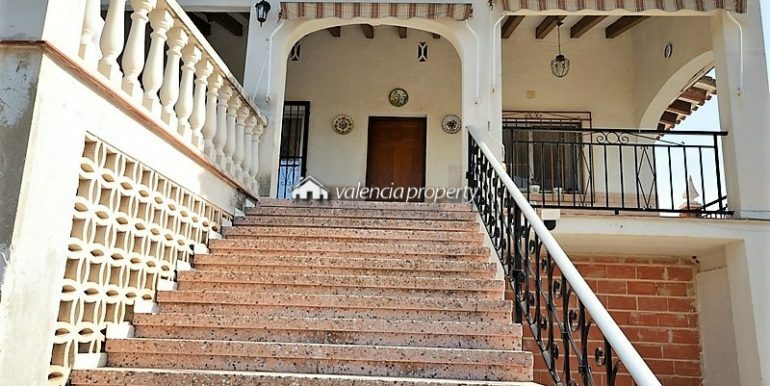 Traditional Valencian house, 5 bedrooms, 5,707 sqm plot, Urban, in Xàtiva. 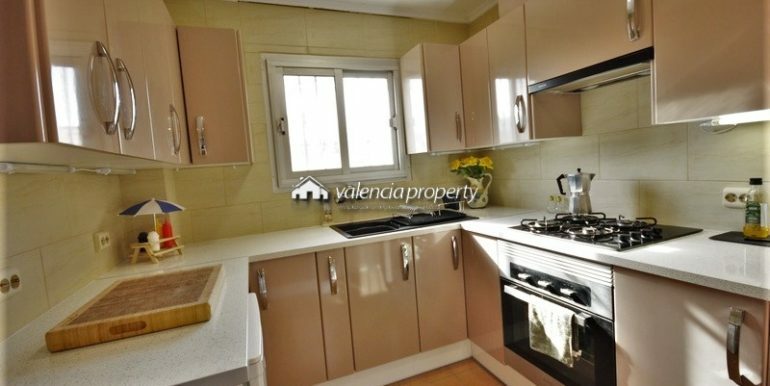 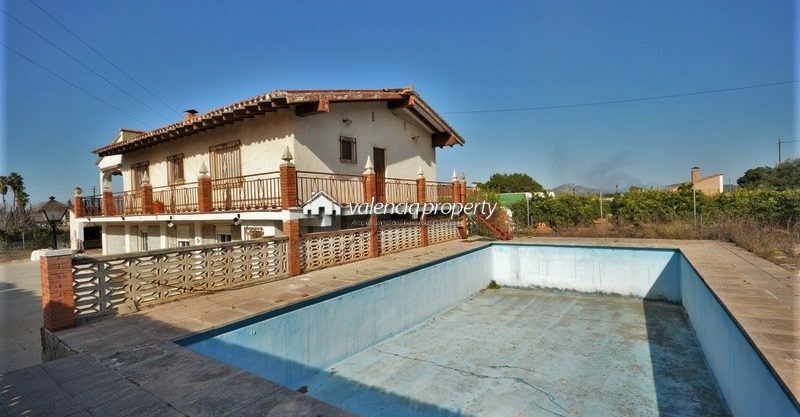 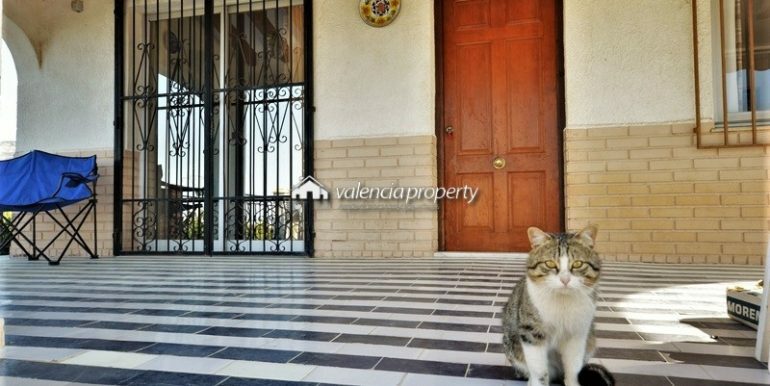 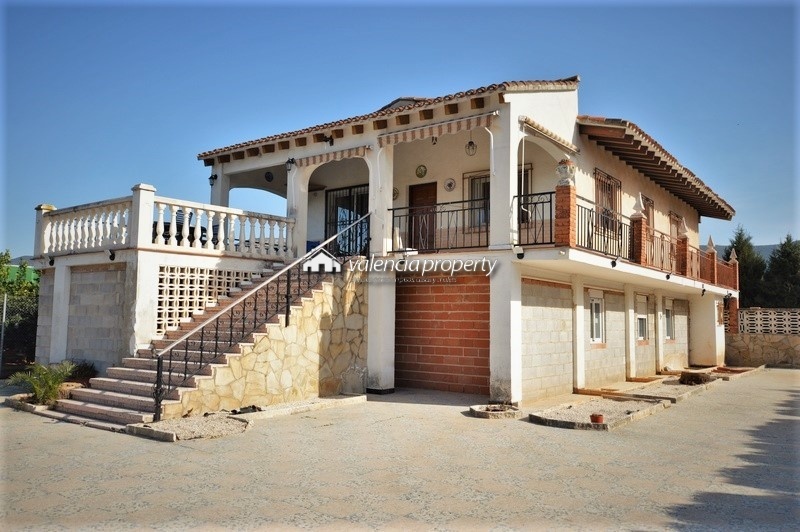 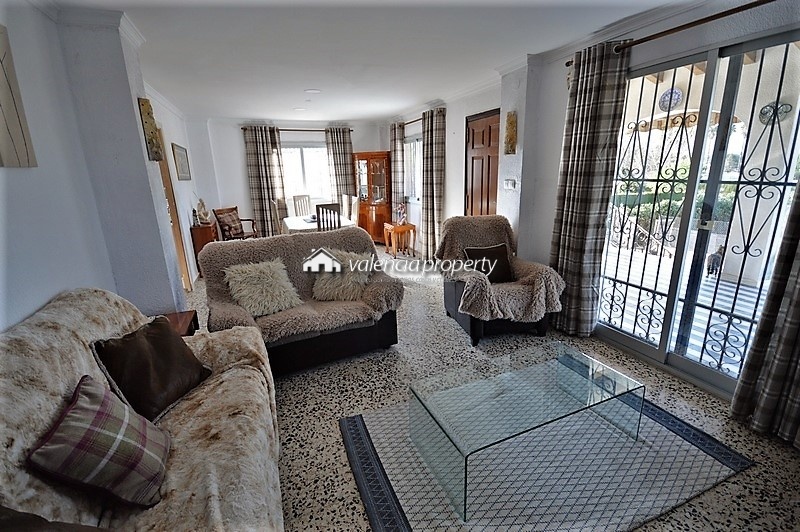 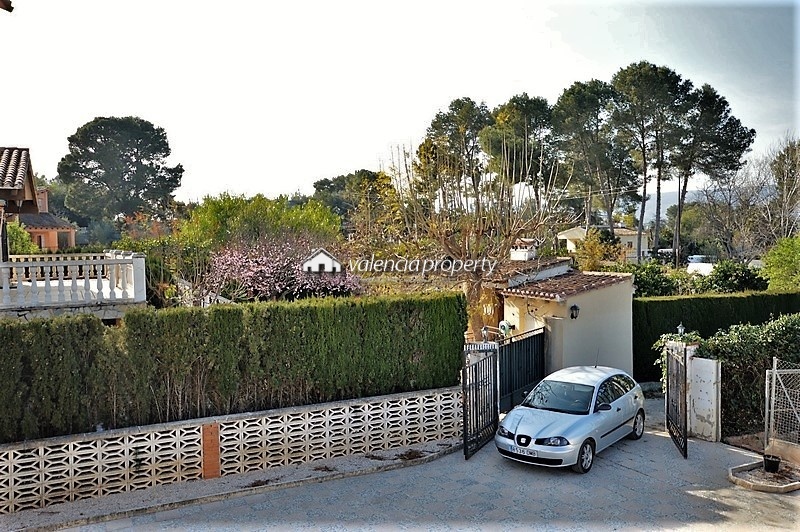 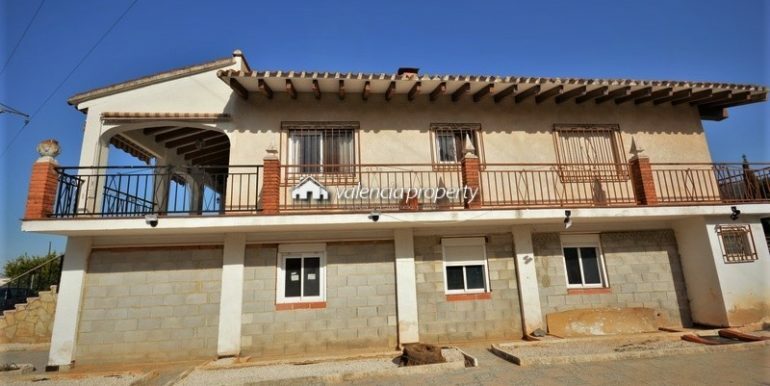 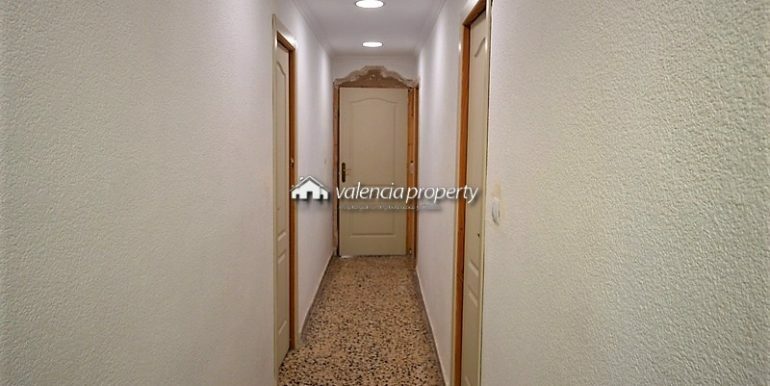 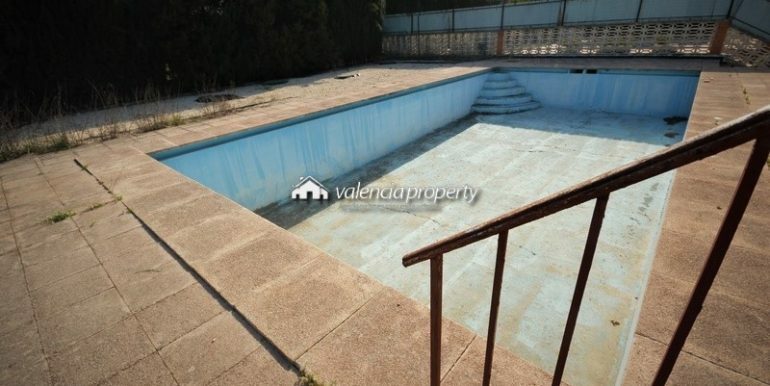 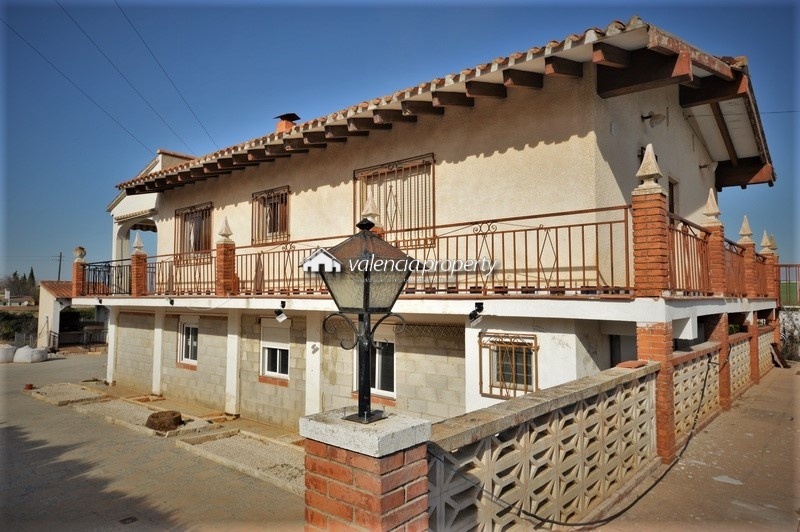 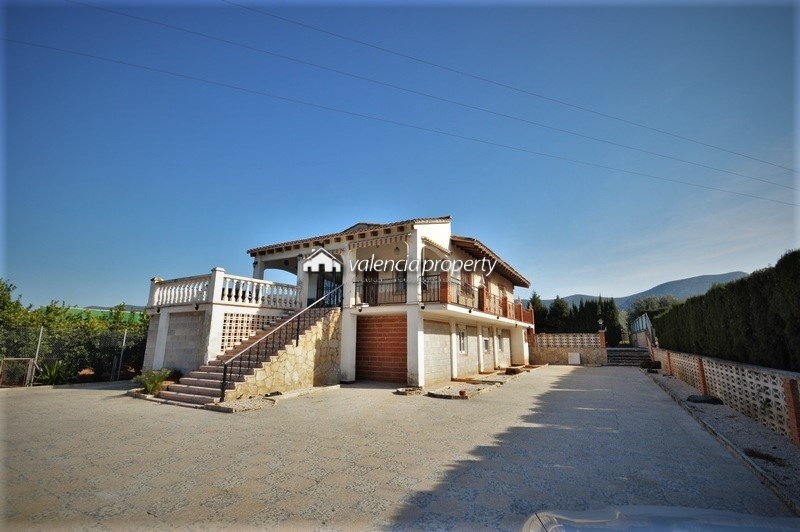 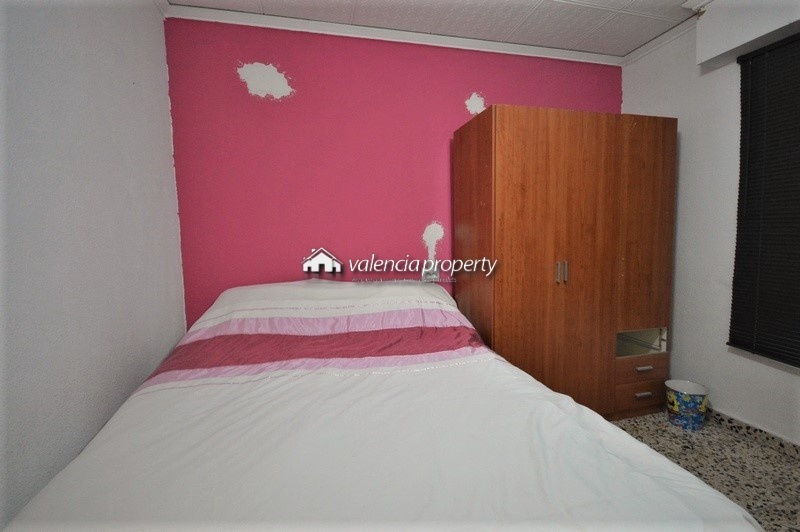 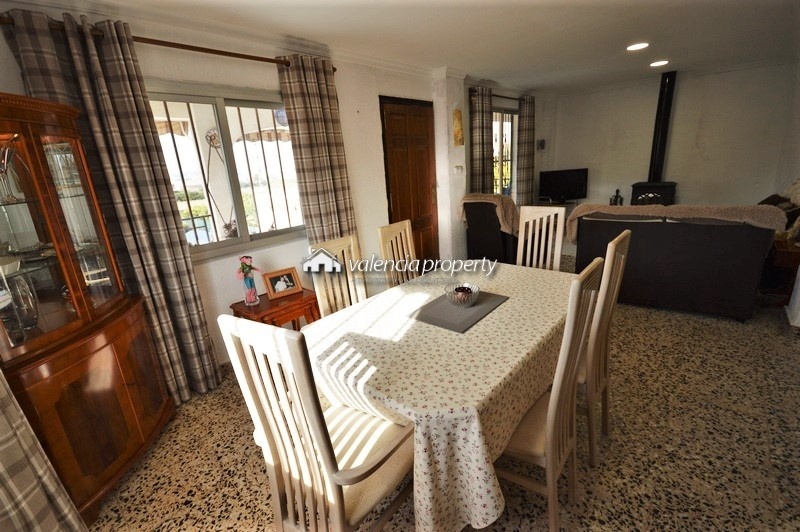 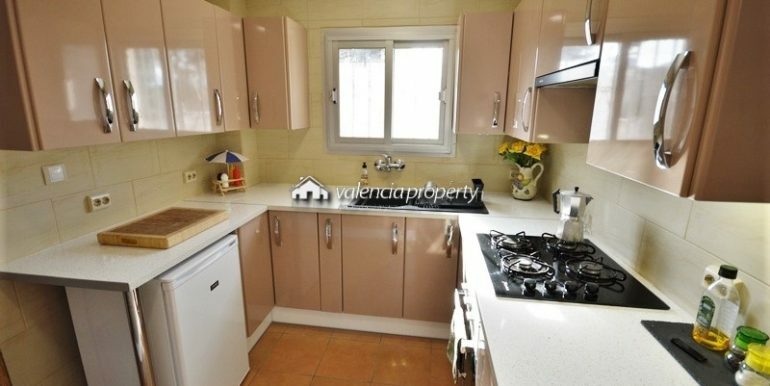 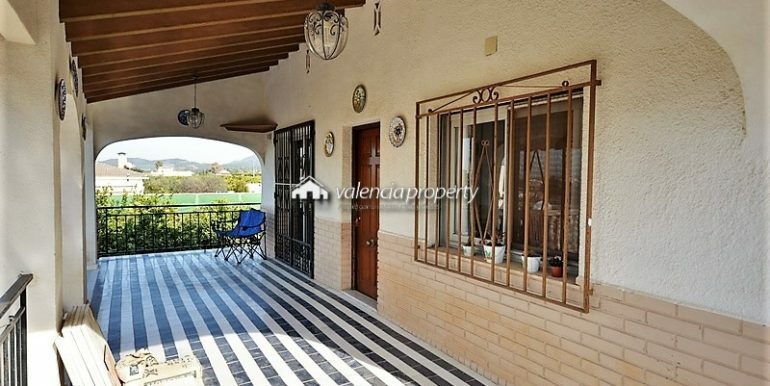 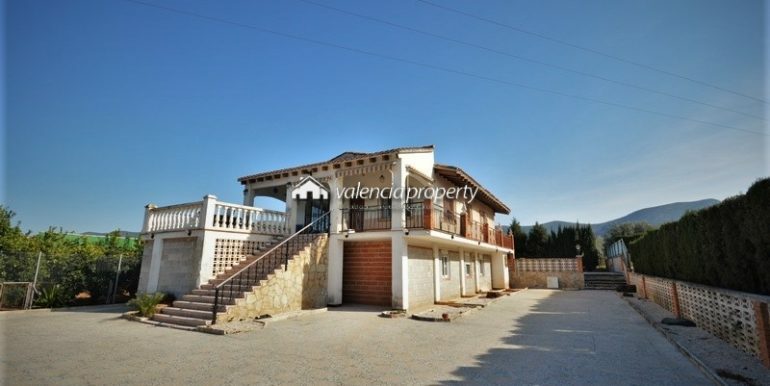 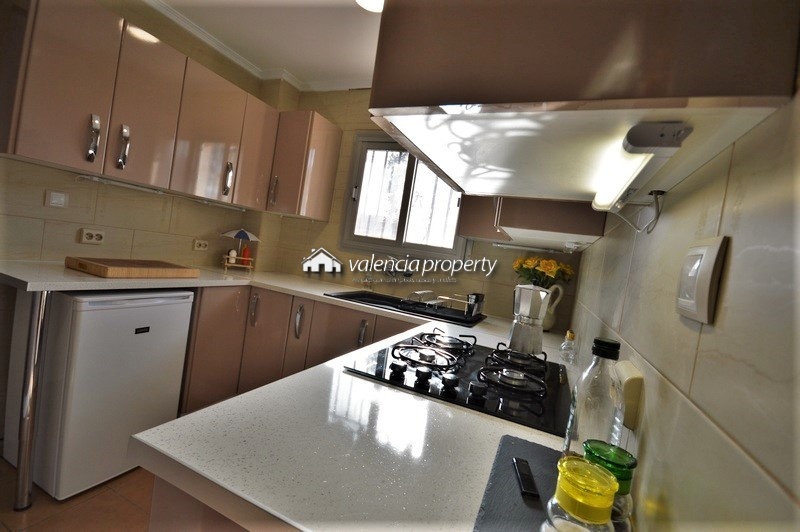 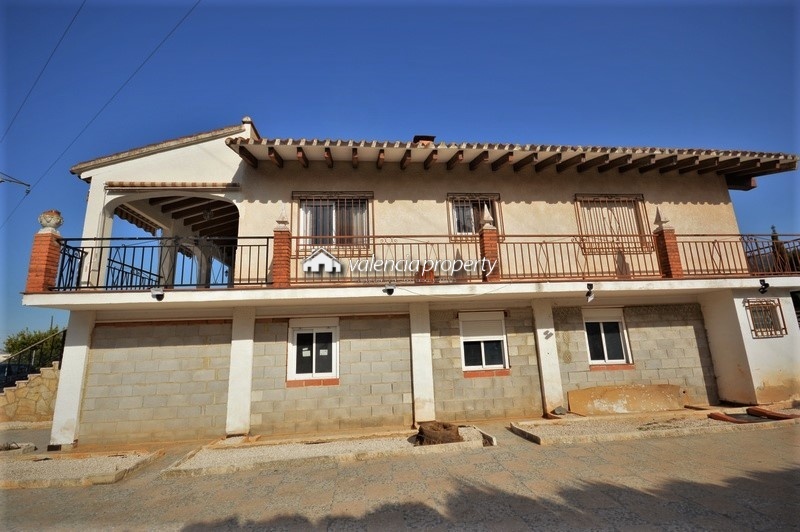 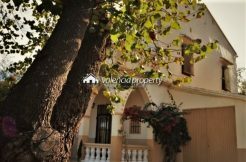 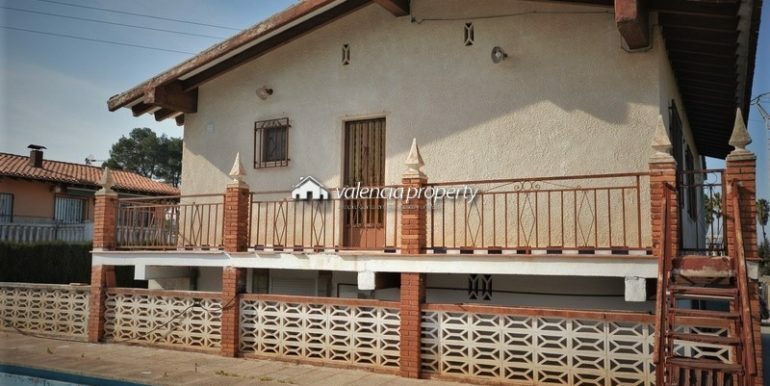 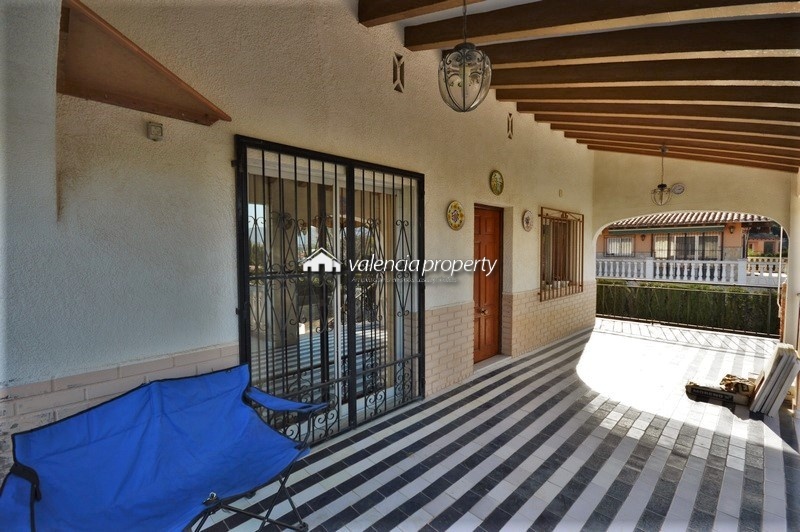 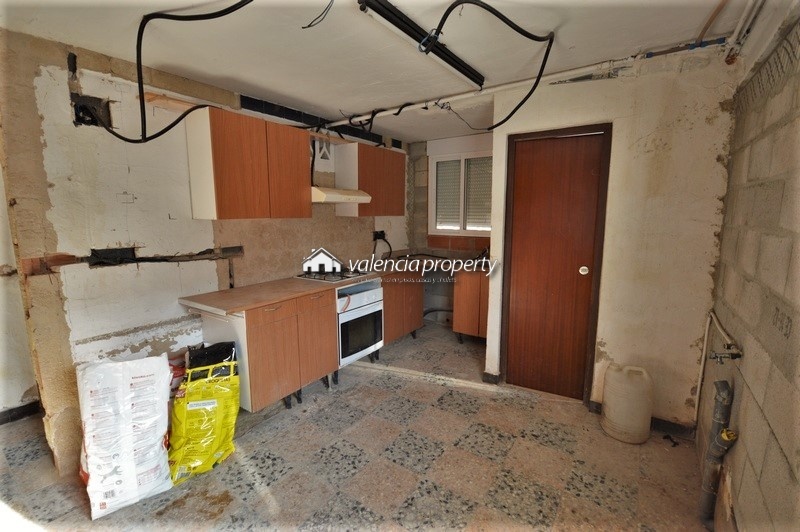 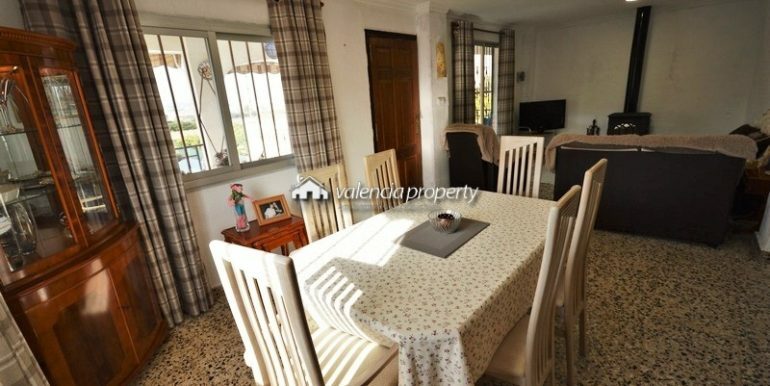 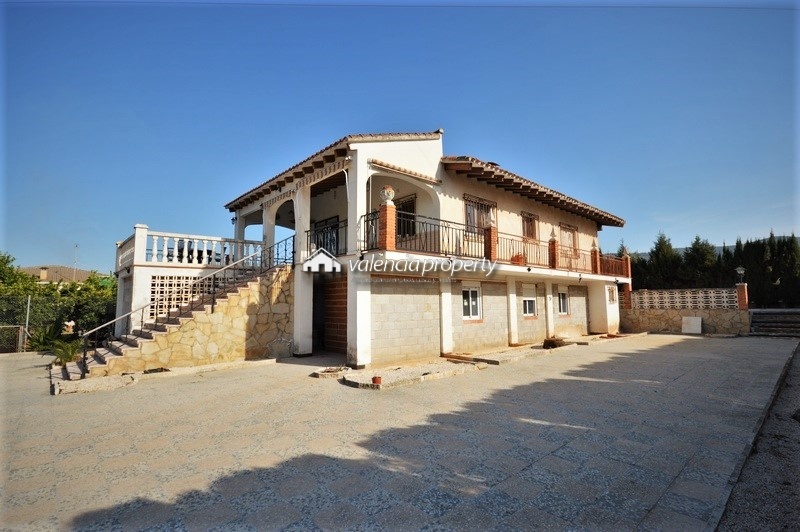 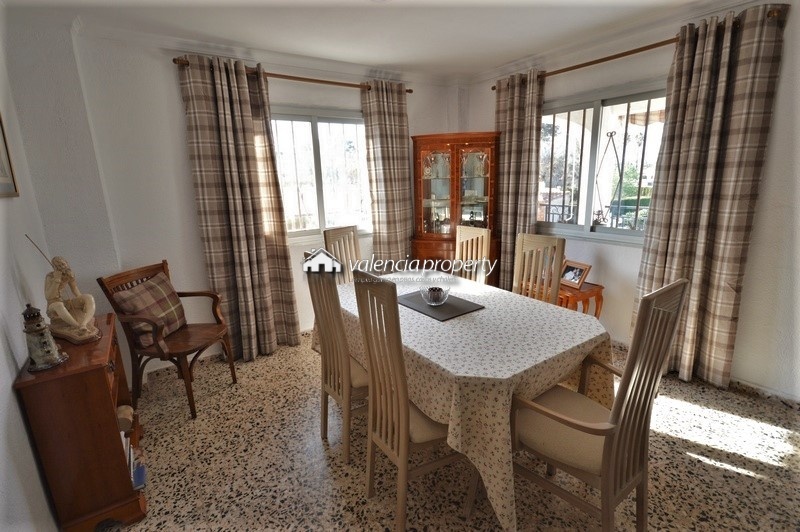 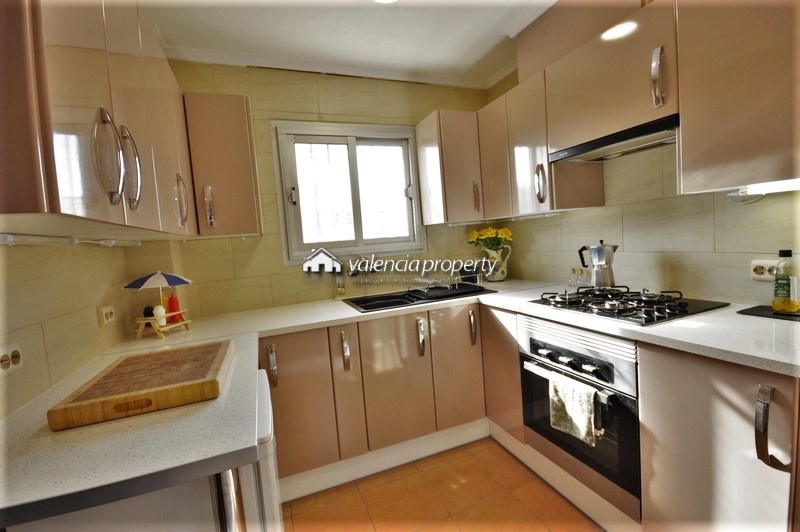 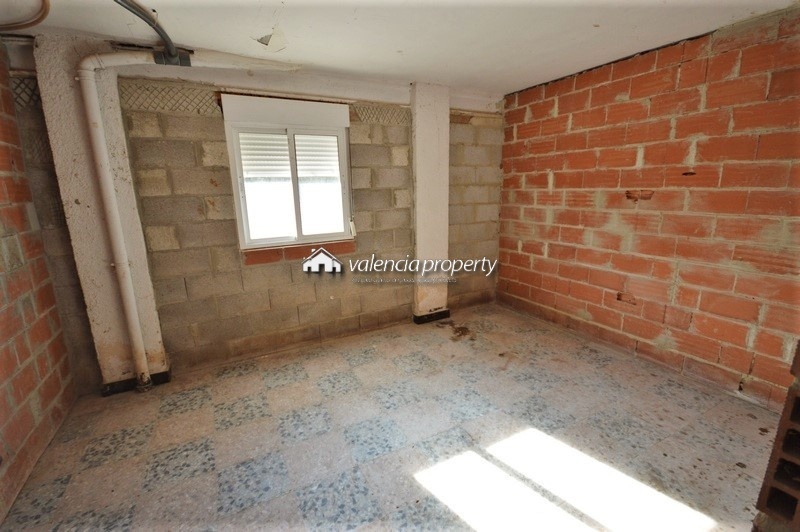 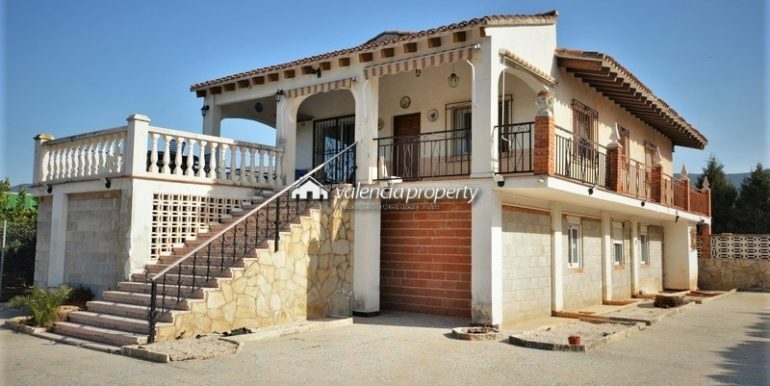 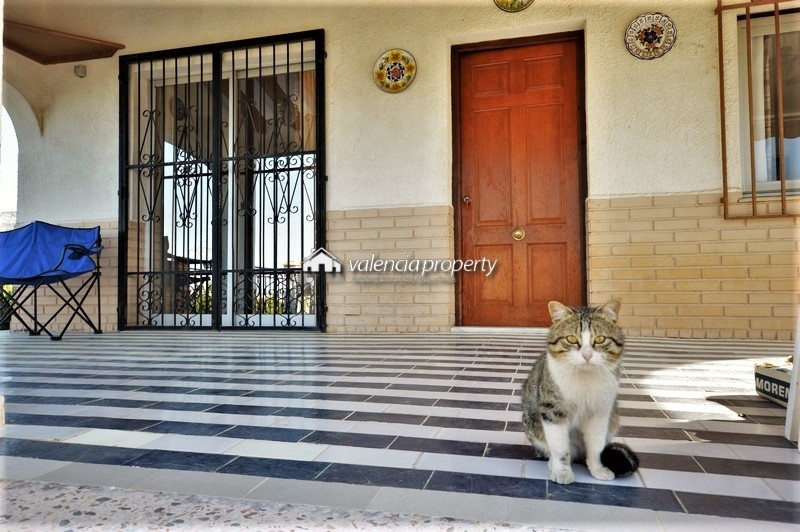 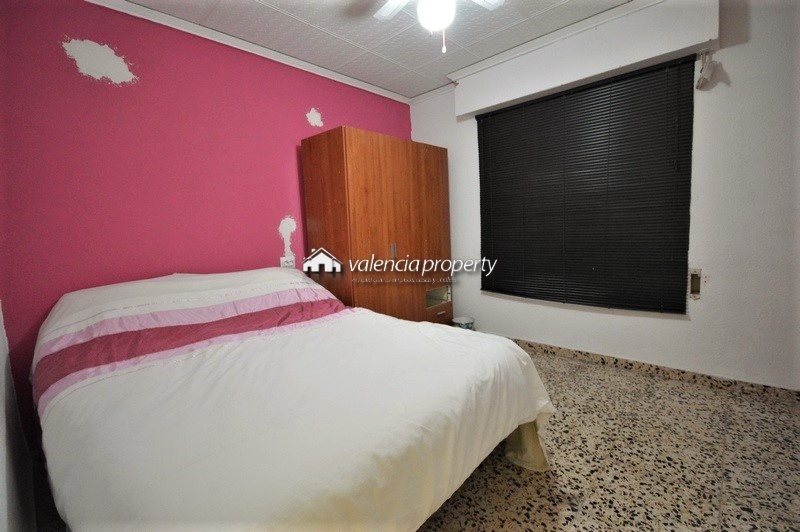 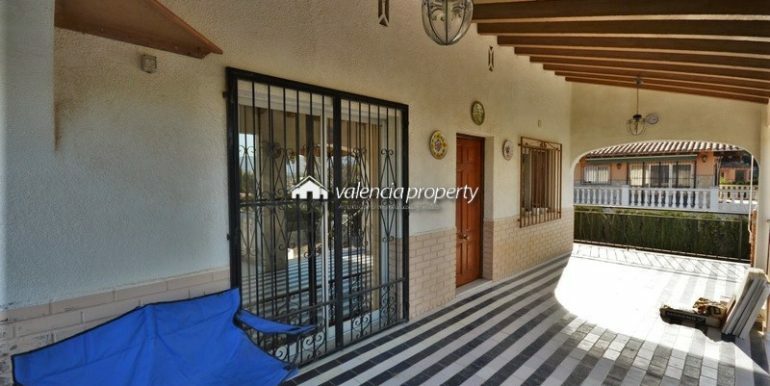 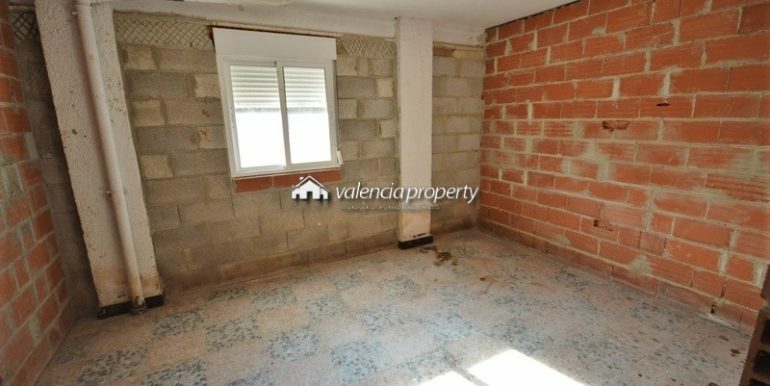 Villa on one floor, in Xàtiva, 4 bedrooms, 2 bathrooms, and pool Detached villa, annex, garage + pool, in Xàtiva.